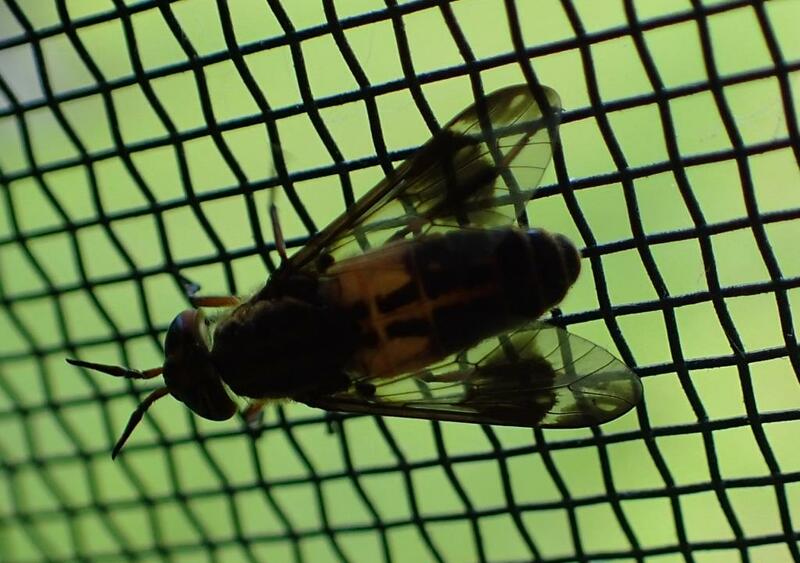 Deer flies are persistent and their bites are painful. In some places they are important pests of both humans and livestock. Strong fliers, they can move several miles from their breeding grounds in search of a meal or just following their chosen target, waiting for a chance to strike. Males are typically mild-mannered, feeding on pollen and flower nectar; females, however, feed on blood, using two pairs of “blades” to lacerate skin, soaking up flowing blood with a sponge-like tongue. 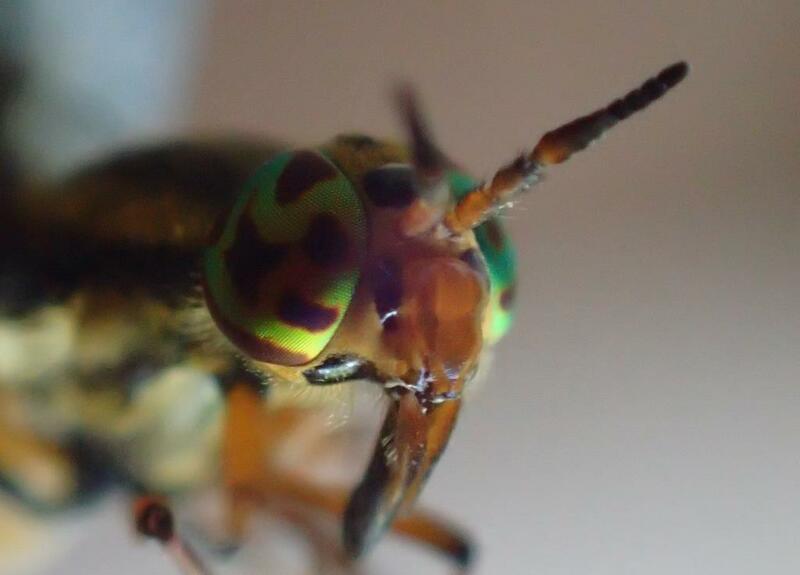 Some species have iridescent eyes, which almost makes them pretty. 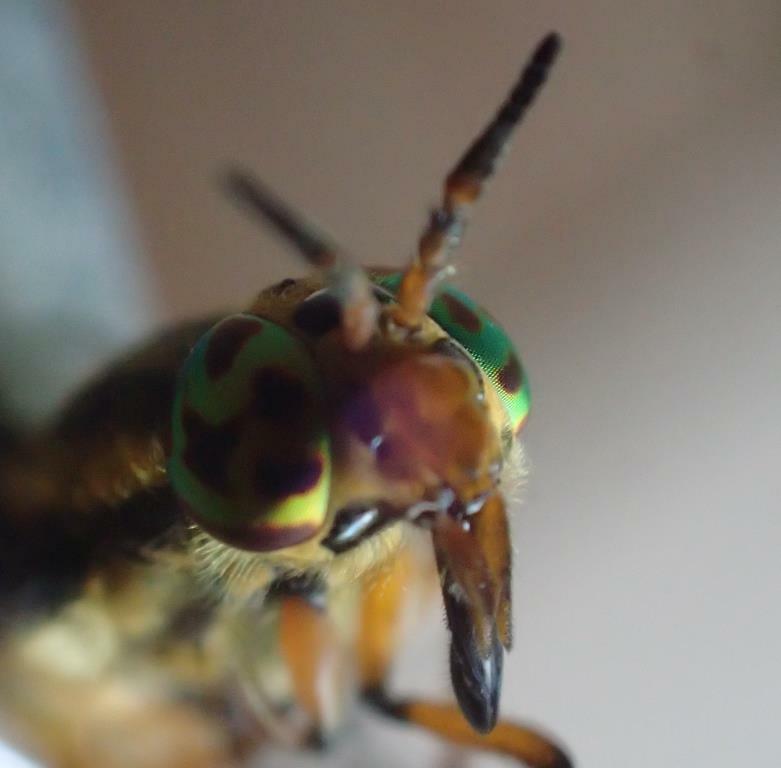 After nailing me but good on the arm, this deer fly agreed to sit still and let me take a few close-ups of her eyes. Actually, gripped in the jaws of a pair of pliers, she agreed to nothing, having no choice in the matter. 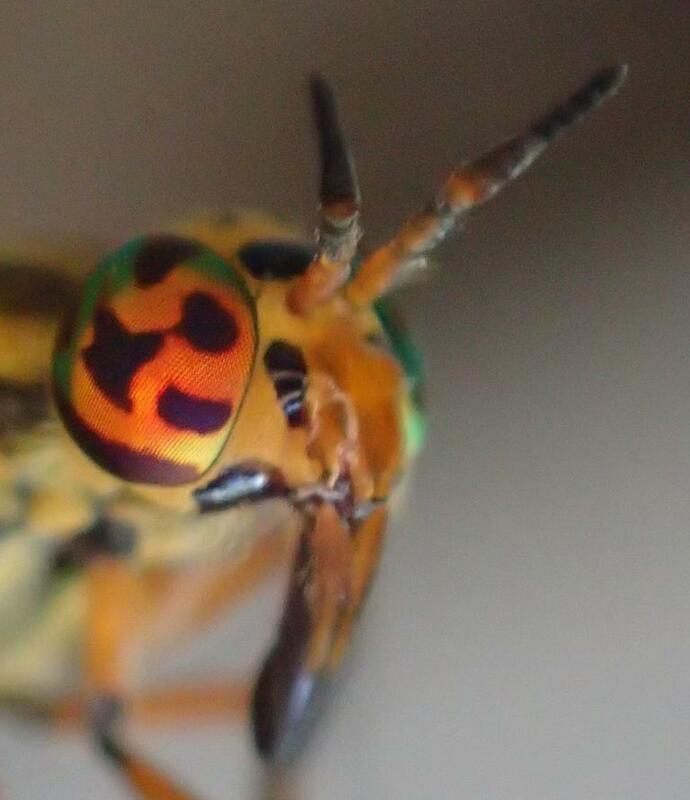 In some light, their eyes appear orange or gold. Shift the angle a bit and they appear green. 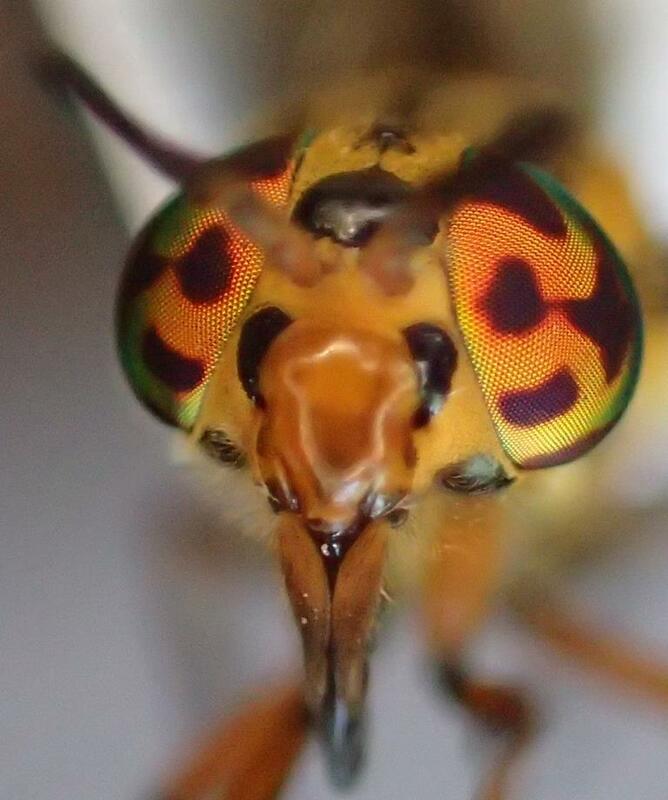 Under half an inch long, deer flies pack a wallop that belies their size, but itching and swelling in a whisky and Benadryl® haze, I have to admit they’ve got pretty eyes. Would you believe we pulled this up as we were watching a documentary about the Beatles’ Magical Mystery Tour? And I don’t let those pesky deer flies hang around me long enough to look into their eyes so thanks for doing that for me Quill. PLUS: This morning on page 281 of Nevada Barr’s new novel “Boar Island” the word “Kaleidoscope”. What the hey is going on? ?.